1) This Special Price is Strictly for Walk-in collection / customers ONLY. 2) Self-collect within 3 working days, otherwise order will be cancelled without prior notice. Very high absorbancy, keeps baby's bottom dry throughout the night. Very soft and comfortable. 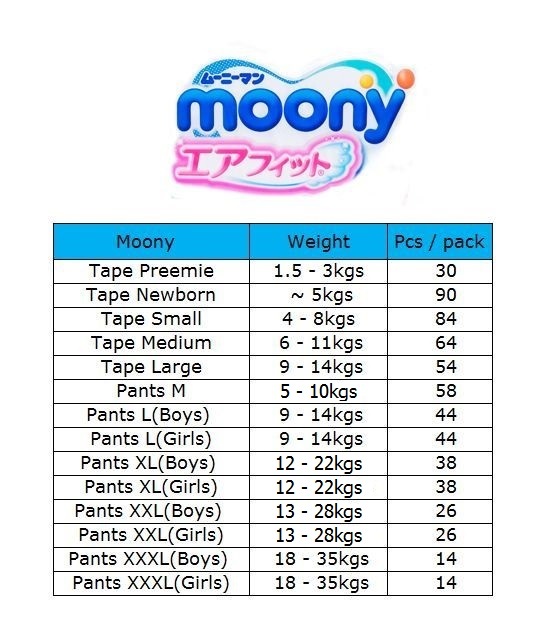 Moony diaper is good, I use for my newborn and my 2nd gal. The diaper is soft and good. We have been using Moony diapers and its one of the best diaper for my gal. Its very absorbent and comfy for her (no more nappy rash). Pricing wise, its cheaper when walk-in and location is convenient for us too.